The lawyers at Smith & Brooker, P.C. represent clients throughout The Great Lakes Bay Region. As a firm, we have more than 110 years of combined experience in helping our clients work through their legal difficulties. Richard C. Sheppard graduated from the University of Michigan in 1976 and from Wayne State University School of Law in 1979. 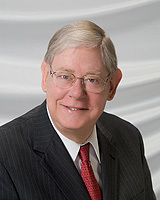 He is admitted to practice in the state and federal courts, including the U.S. District Courts. 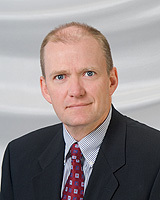 Mr. Sheppard concentrates on automobile accidents, personal injury, civil litigation, insurance law, neighbor disputes, drunk driving offenses, and traffic violations. He represents various municipalities and individuals, specializing in zoning law and condominium and homeowner’s associations. He is a Past-President of the United Way, a member of the Bay Area Chamber of Commerce, and Past-President of the Bay County Bar Association. Charles T. Hewitt graduated from Michigan State University in 1982 and from Michigan State University College of Law School in 1986. He is admitted to practice in the state and federal courts, including U.S. District Courts, and in the 6th Circuit United States Court of Appeals. Mr. Hewitt specializes in elder law/elder care, estate planning (Wills, Trusts, Powers of Attorney), conservatorships, guardianships, landlord/tenant, probate, and business transactions such as formation of and sales of businesses, along with real estate transactions, including real estate sales and purchases. He is a member of the Bay County Bar Association. He has served as a volunteer director and officer for the Dow Bay Area Family Y, as a trustee for the Bay City Public School District (10 years), and is very active as an officer at First Presbyterian Church of Bay City. George B. Mullison graduated from the University of Michigan in 1963 and from the University of Michigan Law School in 1966. He is admitted to practice in the state and federal courts, including the 6th Circuit United States Court of Appeals, the U.S. District Courts and the Supreme Court of the United States. 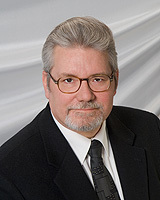 Mr. Mullison’s practice consists of appeals and criminal defense. He was the Bay County Chief Prosecutor from 1979 to 1992. He is a member of the Bay County Bar Association. Sally B. Warren graduated from Michigan Technological University in 1983 and graduated from Thomas M. Cooley Law School in 1989. She is admitted to practice in the state and federal courts, including the U.S. District Courts. Ms. Warren specializes in family law, criminal defense, traffic violations, and Chapter 7 bankruptcy. 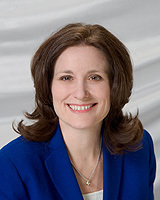 She is a member of the Bay County Bar Association, the State Bar of Michigan, and the American Bankruptcy Institute. Ms. Warren holds a Certificate of Completion in the area of family law issued by the Institute of Continuing Legal Education and the Family Law Section of the State Bar of Michigan.